PPF members Lauren and Jacob Brey explain to Door County Board members the technology they use at Brey Cycle Farm and how they care for their animals and natural resources. Lee Kinnard has hosted countless tours of his farm over the years. But a recent group of visitors was a change of pace compared to the school groups and farmers who typically visit. Members of the Door County Board of Supervisors and some county staff spent half a day in November at Kinnard Farms in Casco to learn about modern dairy farming. The group also heard from Lauren and Jacob Brey of Brey Cycle Farm in Sturgeon Bay. This sort of interaction needs to be a priority for farmers, Jacob Brey said. The goal of the tour was to connect local legislators with local farmers so that officials have a well-rounded view of the dairy community and that farmers understand the legislators’ perspectives. For its part, the Dairy Business Association helped connect county officials to the farmers and then let the farmers do the talking. 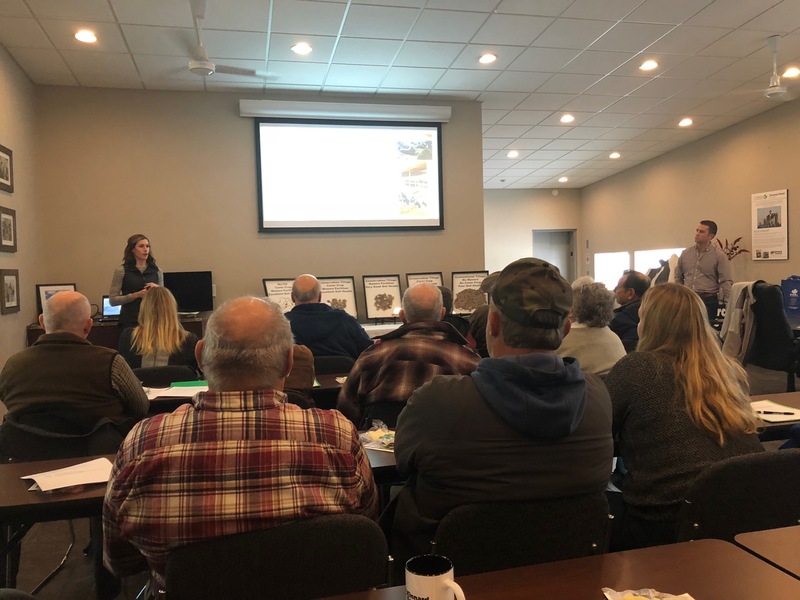 The farm families shared the farm histories, talked about technology they use to care for their animals and described advancements in growing high-quality feed, managing manure and improving soil health. Videos and photos helped highlight innovative practices like manure injection, sand recycling and a bark bed filter. The farmers also want the chance to experiment with new approaches that might not exactly fit into existing regulations. At Kinnard Farms, for example, millions of gallons of rainwater must be collected from the farm’s feed pad and treated as waste. “Regulation must catch up to innovation on farms,” Kinnard said. Both farms participate in PPF and the Door-Kewaunee Watershed Demonstration Farm Network through which farmers learn and share innovative techniques. The Breys and Kinnard credited these groups with inspiring them to try new practices that will better preserve and protect natural resources. Mike Vandenhouten, a PPF board member who is a crop farmer in Door County, provided an overview of the organization. During a bus tour of Kinnard Farms, participants saw the milking parlor, freestall barn, manure storage, feed storage, cover crops and other parts of the farm. County supervisors and staff asked a variety of questions.